British voters in key marginal seats are calling for tougher action to clamp down on tax avoidance. Many are unimpressed by political parties’ pledges to raise billions by taxing the wealthy and mammoth corporations, a new study suggests. 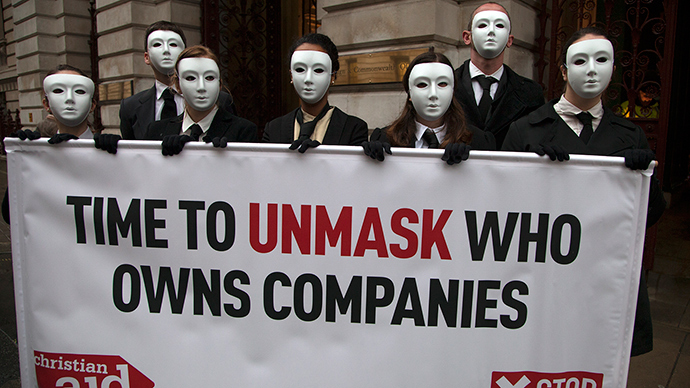 The ComRes survey, published on Thursday, was commissioned by UK tax justice campaign the Tax Dodging Bill. The campaign consists of 26 British and global development organizations that are calling on the next government to implement new legislation to tackle tax dodging within the first 100 days of assuming power. The survey targeted a total of 1,000 voters spread across 40 marginal seats. The poll revealed 58 percent of those questioned believe tax justice reforms proposed by the Tories, Labour and the Liberal Democrats are not comprehensive enough. Meanwhile, 90 percent of voters based in marginal constituencies believed tax avoidance measures pursued by giant multinationals are morally wrong even if the firms’ actions remain within the law. Some 84 percent said it is simply too easy for large firms to avoid tax, while 81 percent stressed large corporations’ tax dodging in the global south is particularly harmful to those living in developing nations. A similarly high proportion called for greater levels of transparency, with 86 percent calling for multinationals that operate in Britain to ensure their accounts are accessible to the public. The ComRes poll’s findings were published as Labour leader Ed Miliband declared his determination to cultivate greater levels of tax justice in Britain and elsewhere during a candid interview with comedian and political activist Russell Brand. Labour’s proposed path of moderate austerity relies on the party being able to drum up £6.7 billion from stricter tax dodging measures. The Conservatives and Lib Dems' more stringent fiscal probity requires £4.6 billion and £9.7 billion if they are to honor their spending pledges. Jenny Ricks, head of campaigns at UK charity Action Aid, said the ComRes survey indicates public outrage over multinationals’ tax dodging shows no signs of abating. “Pressure is mounting on all parties to act. That’s why the next government must introduce a tax-dodging bill. It could bring in billions in the UK and poor countries – money badly needed to fight poverty,” she said. Christine Allen, head of policy and advocacy at Christian Aid, said the British public recognizes the harmful and immoral nature of corporate tax avoidance. “The British public clearly understands what many companies do not – that corporate tax avoidance harms human beings and is morally wrong,” he said.